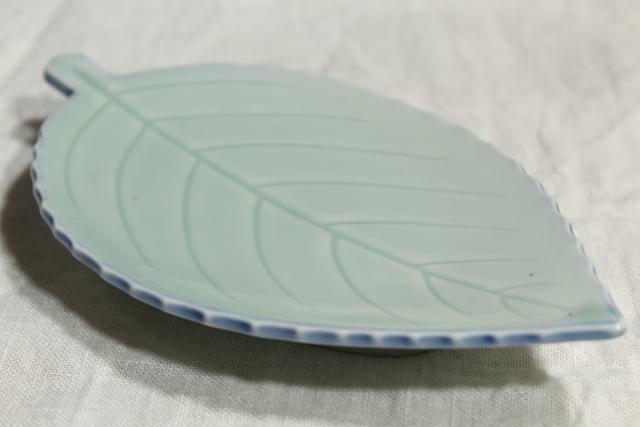 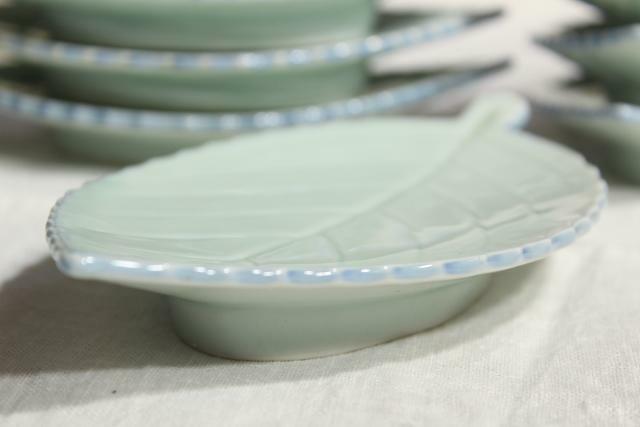 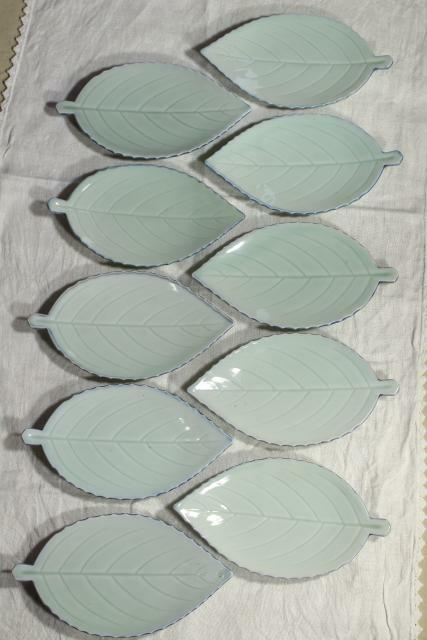 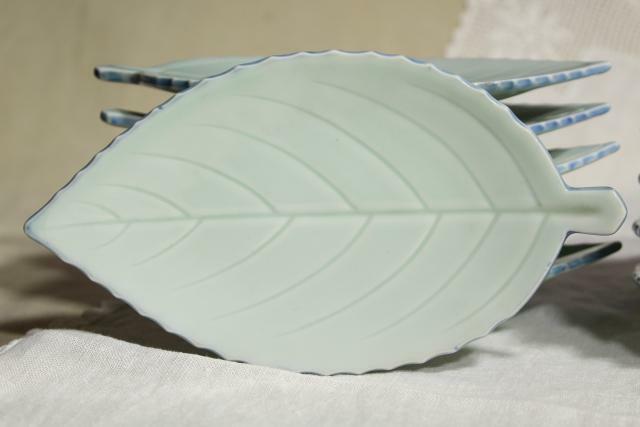 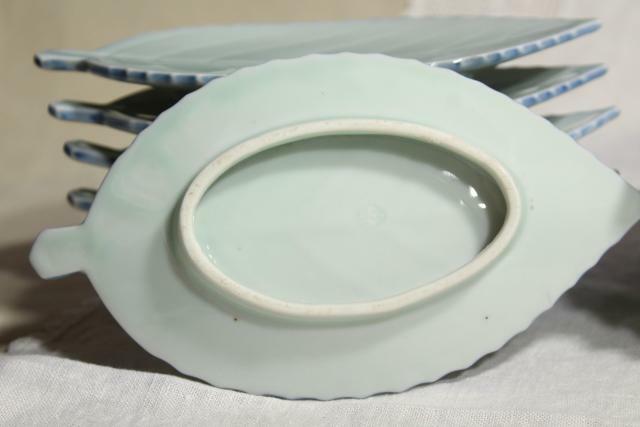 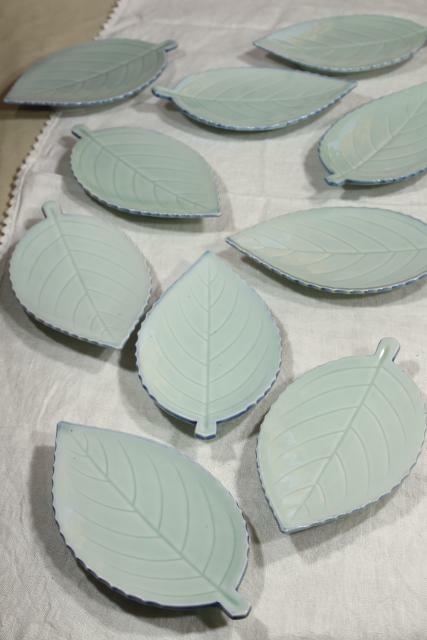 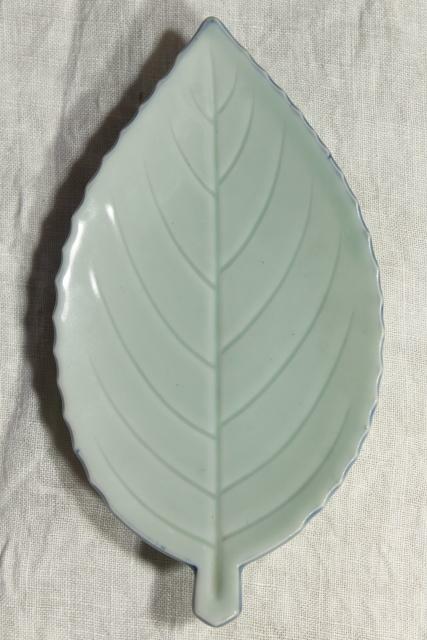 Set of ten vintage leaf shaped celadon plates, about 7 3/4" long end to end x 4 1/4" wide. 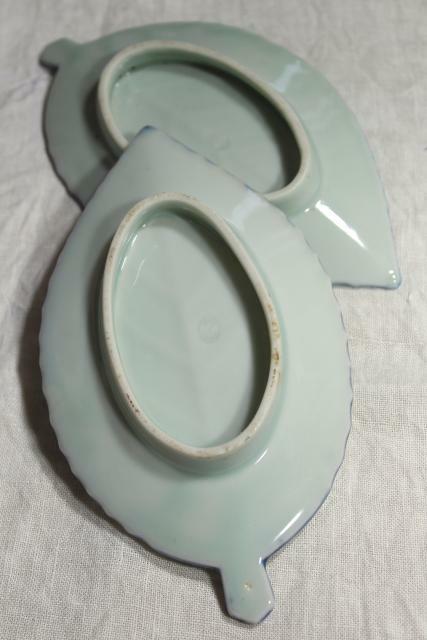  These are marked only with a chop mark which we can't read, though we've been told these are Chinese pieces rather than Korean? 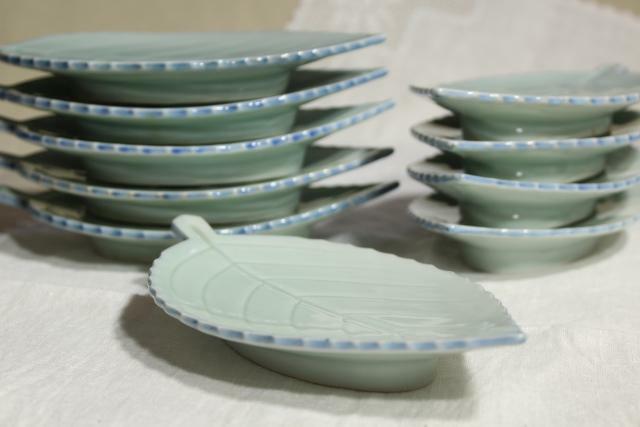 All ten of these are in very good condition without damage or wear... we'd guess that they're 20 to 40 years old.